Seen a better deal elsewhere? See if we can beat it! 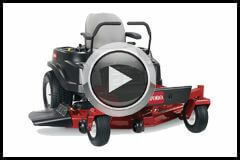 The all new Toro TimeCutter MX4250 comes equipped with a powerful V-Twin 24.5 HP Toro engine. Accompanied by a strong 42" fabricated cutting deck made of 10 gauge steel with a bull-nose bumper, built to handle rough and tough conditions. Topped off with a 18" padded seat allowing you to mow in comfort. Zero-turn mowers are taking over the market and can save you up to 40% of your time when compared to using a traditional tractor. Meaning that your can get your weekends back in spring and spend more time doing the things you love! The foot assisted deck lift and arm rests are features which rounds off this product nicely making mowing your property that much easier. Buy a product you can trust, buy a Toro. More features in detail below! Subject to suitability assessment and credit approved applicants only on a Lombard 180 card. Terms, conditions, fees and charges apply. Minimum finance amount applies and is determined by the Interest Free Term. The indicative weekly repayments advertised exclude the $99 Annual Fee, charged on the account open date and annually on the anniversary of the account open date. The Annual Fee needs to be paid in full within the 55 day Interest Free Term as part of the first repayment to avoid interest charges. The indicative weekly repayments assume no additional purchases, cash advances or any other fees and charges. Interest, currently 22.99% p.a., is payable on any balance outstanding after the Interest Free Term. Ask in store for details at participating dealers only. Offer is available from 7th December 2015 to 31st March 2016 or while stocks last. Credit provided by Lombard Finance Pty Limited ABN 31 099 651 877, Australian Credit Licence number 247415 (Lombard). Lombard® is a trademark of Lombard. 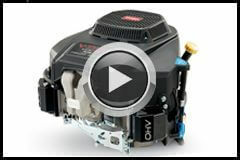 Toros new 24.5hp V-Twin engine providing quality performance in speed and ability. The engine features a patent pending self cleaning air filtration system to keep dirt for getting to the air filter ensuring an engine thats efficient and designed to increase the longevity of the engine. The foot asset pedal allows you to change the height of your cut easily by using your leg. This super padded extra-tall seat provides the ultimate support system to your back for a more comfortable ride.